One of the greatest contributions of Buzzfeed to our collective conscience is that it made top ten lists super popular and proved that one can transform a any news story into a top ten list. 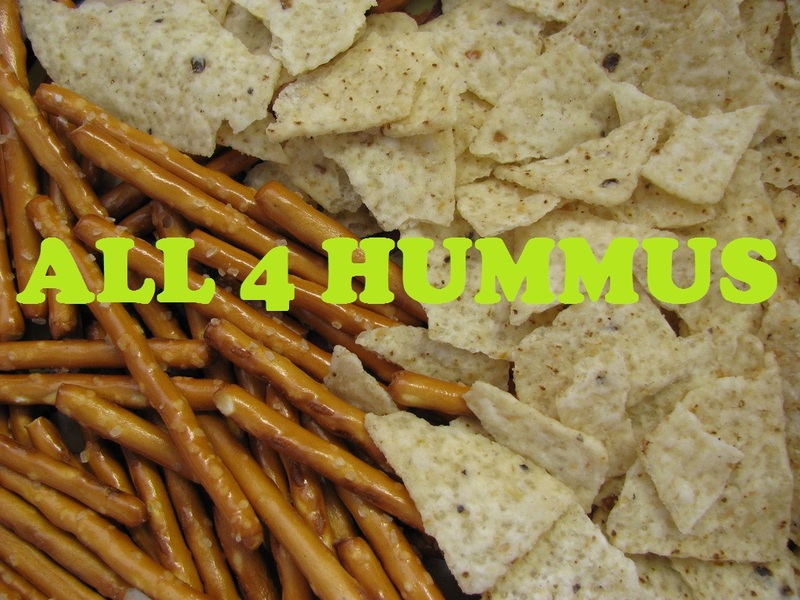 I wondered if there are any lists for hummus and found this interesting story online. Here's the link to the original story and it's copied below as well to ensure it won't be deleted over time since it seems that in todays clouded world a lot of things tend to get deleted or lost in the world wide cloud. 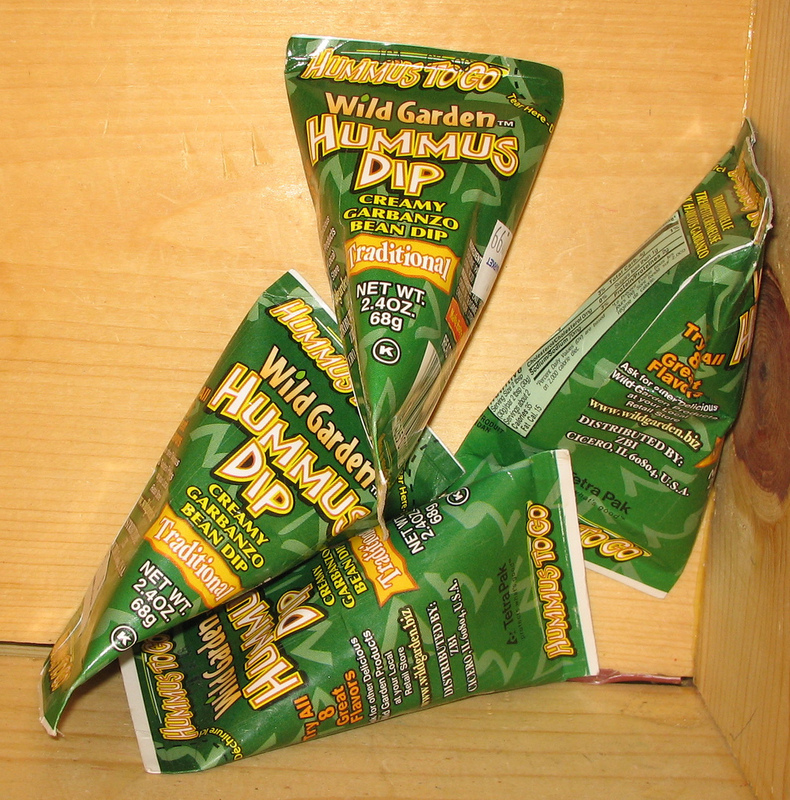 Vegans often have a reputation of being hummus-lovin’ hippies. 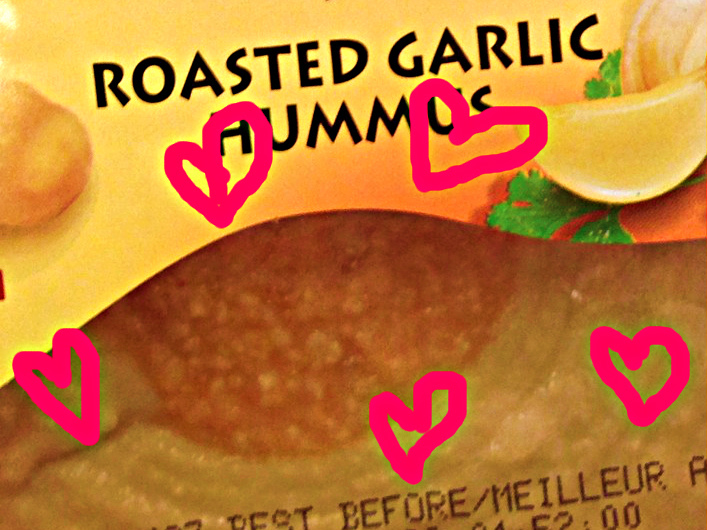 Well, at least part of that is true—we do LOOOOVE our hummus! 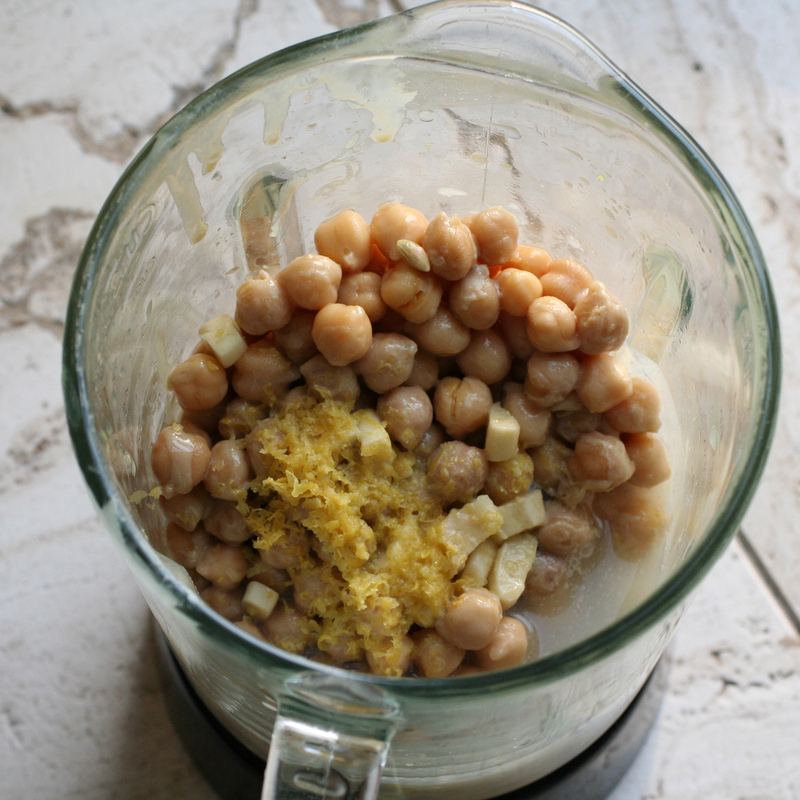 Who knew that chickpeas, tahini, olive oil, and some lemon or garlic could come together to create the most versatile, delicious condiment extraordinaire of all time? 2. It’s packed with protein. This sh*t is made with GARBANZO BEANS, dudes. 3. It enables you to eat raw veggies by the masses. How the f*ck else could a carrot stick taste so good? 4. 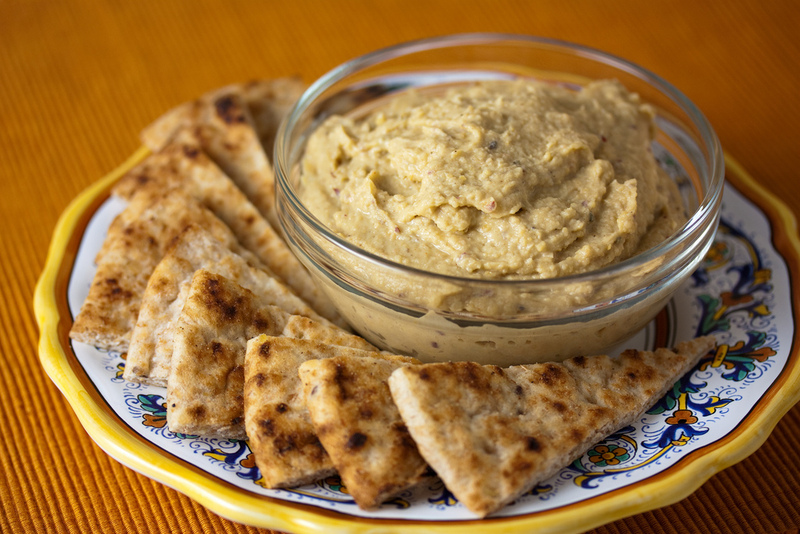 Pita bread is nothing more than a vessel for shoveling hummus into your mouth. The same goes for chips, crackers, slices of toast, sticks of celery, and really any food in sight. 5. 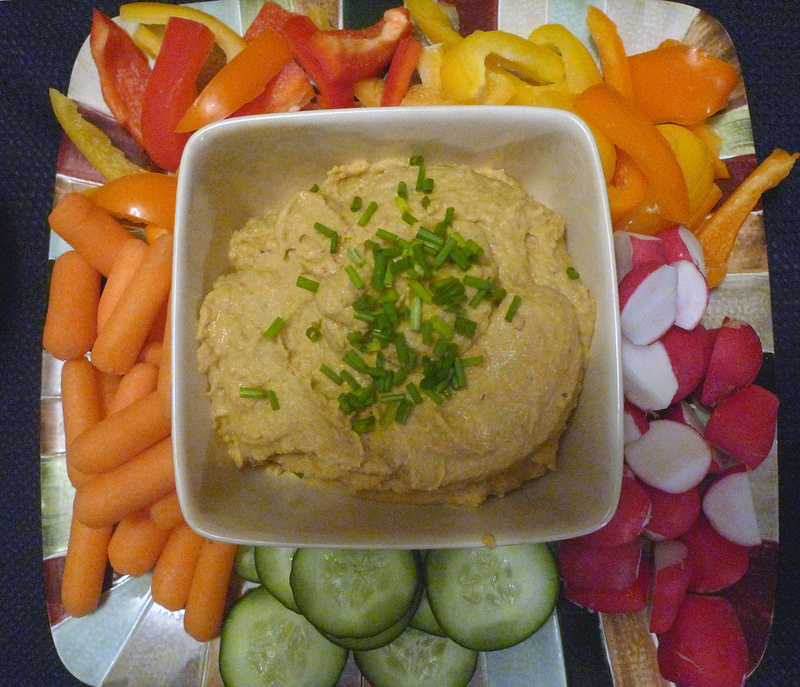 It takes a bland veggie platter from being “the only vegan option at the party” to the most exciting. And you can make the whole dang thing from scratch! 7. 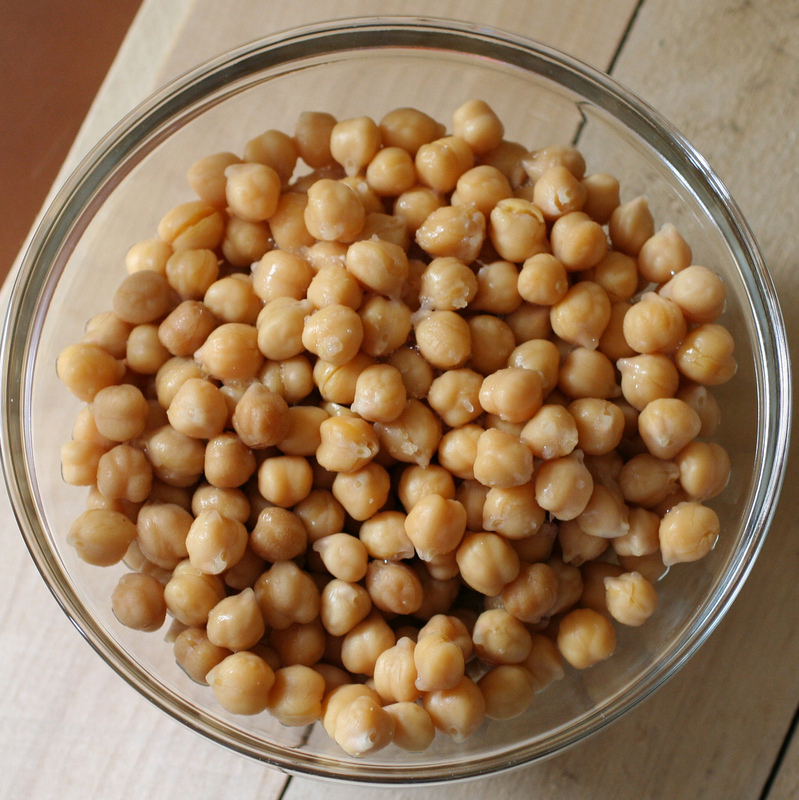 Its main ingredient is garbanzo beans (aka “chickpeas”), which are just little balls of heaven and versatility. Another main ingredient is tahini, aka “sesame seed paste”—another heavenly food that we recommend you get in touch with. 8. Chickpeas are also the main ingredient in falafel, a f*cking awesome vegan food which pairs most deliciously with a big side of—you guessed it—HUMMUS. 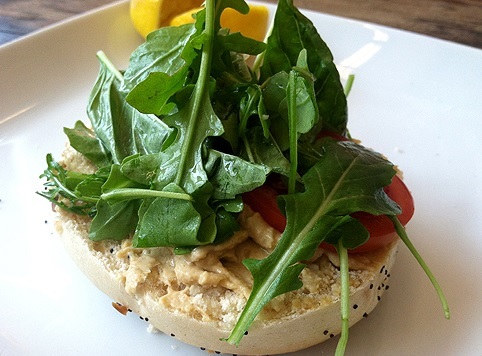 Hummus on a bagel? It’s the new vegan cream cheese. It’s also the new mayonnaise. And it’s the new ranch dip. 10. It’s readily available at pretty much ANY grocery store. And there are SO MANY BRANDS TO CHOOSE FROM. 11. Like Sabra Hummus. Duh. Tried ‘n’ true ‘n’ oh-so-creamy. 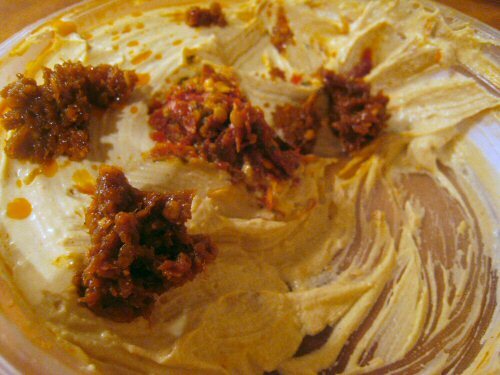 That minced garlic pile in the middle of the Sabra Roasted Garlic Hummus? God help me. 12. 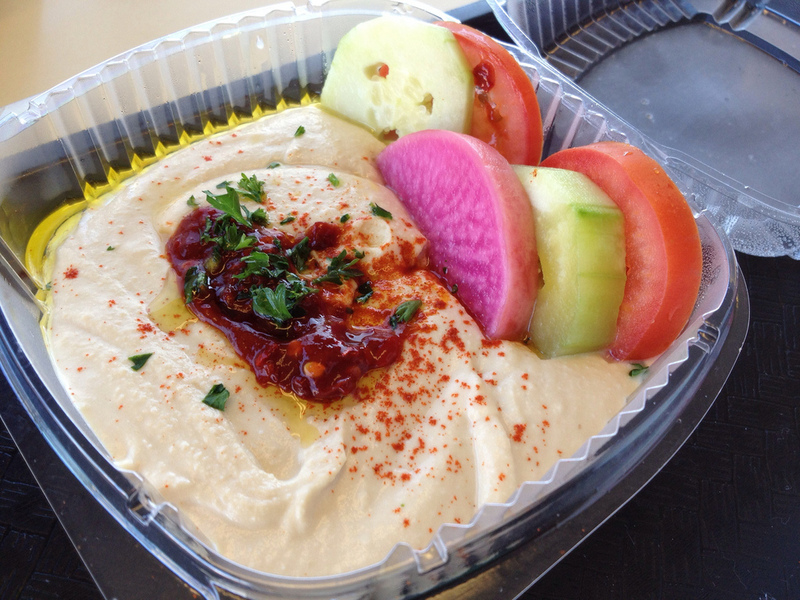 Tribe Hummus makes an Everything Hummus that tastes just like an everything bagel. Can you handle that??? Why, yes, I DO find myself buying this one often. You’d think it’d be too much, BUT IT NEVER IS. 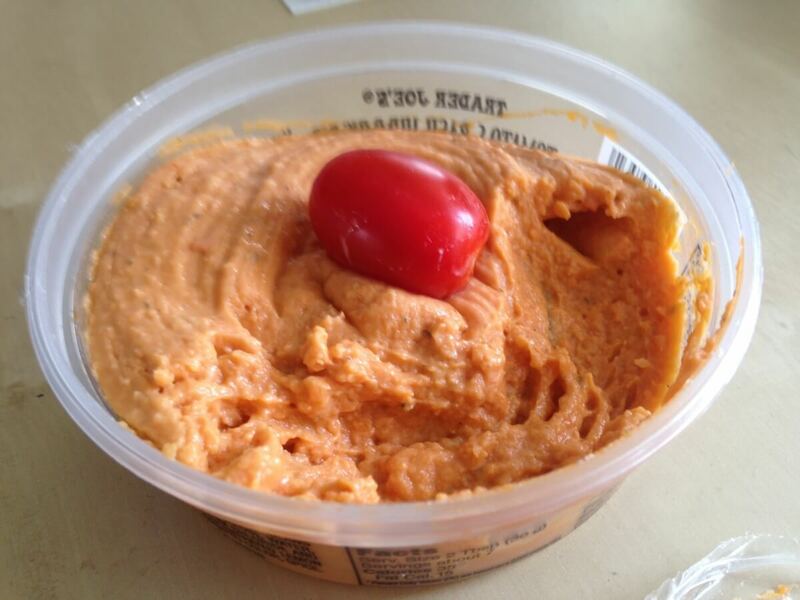 Trader Joe’s Tomato Basil Hummus can seriously double as a creamy pizza sauce. I can hardly handle the versatility. 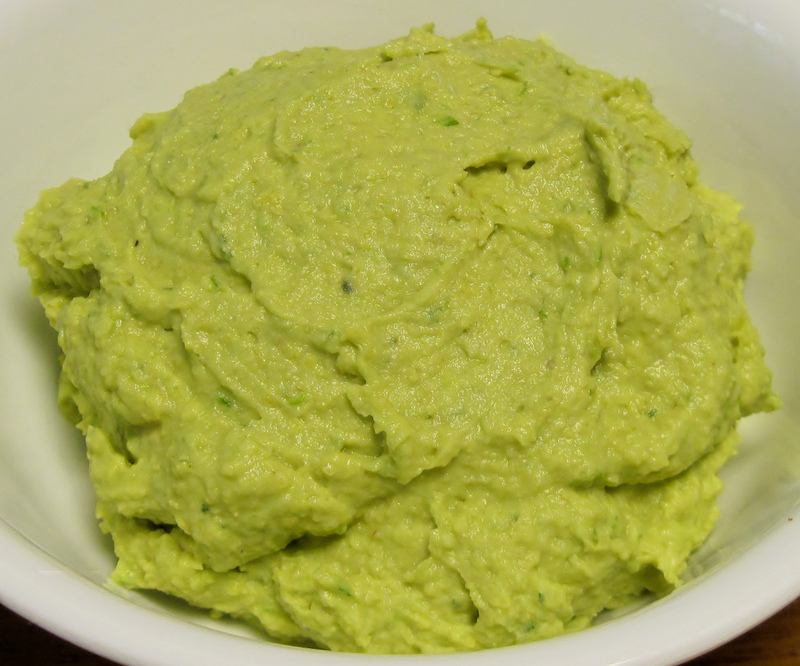 Cilantro jalapeño hummus? 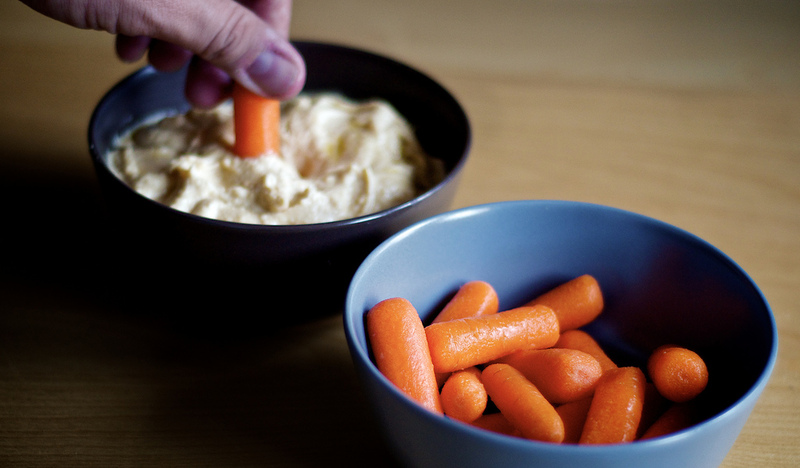 OK, now add burritos, tacos, and taquitos to the list of hummus-friendly foods. 14. 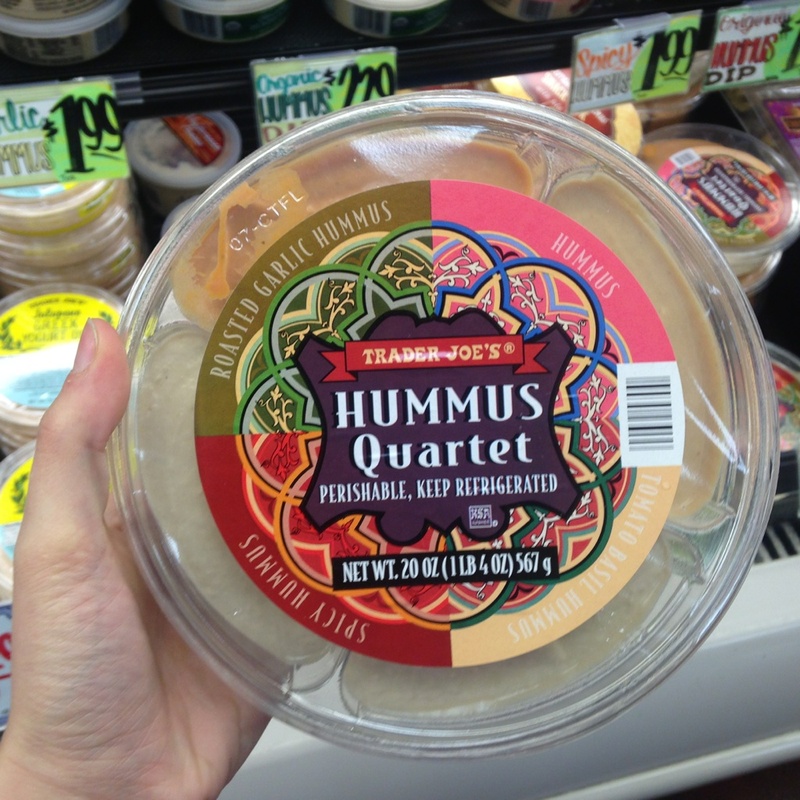 Are you so obsessed with hummus that you need to have it with you AT ALL TIMES? Well, thank Godzilla that it comes it tiny travel packets that don’t require ANY REFRIGERATION. 16. 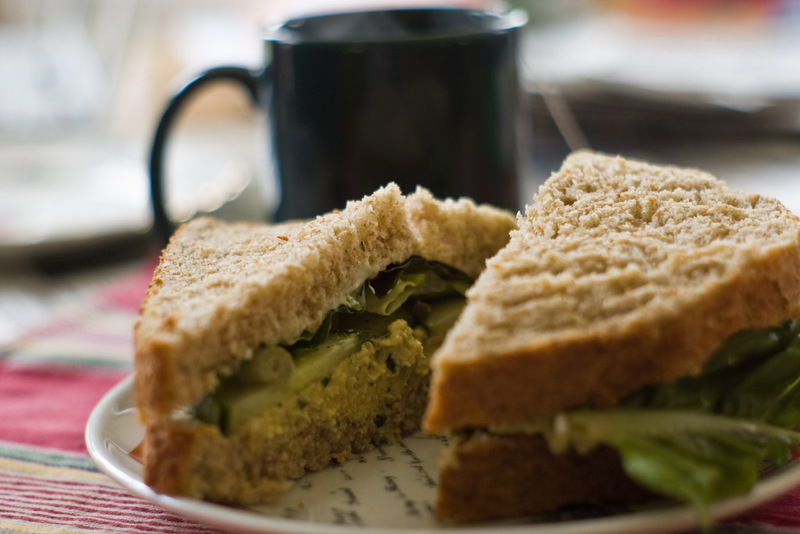 You can add hummus to almost anything to make it EVEN BETTER. Seriously, try stirring it in with marinara for a delicious creamy sauce to pour over pasta. Or try mixing it with olive oil and soy sauce for a super-flavorful creamy dressing (this dressing + kale + nutritional yeast = the best salad ever!). 17. 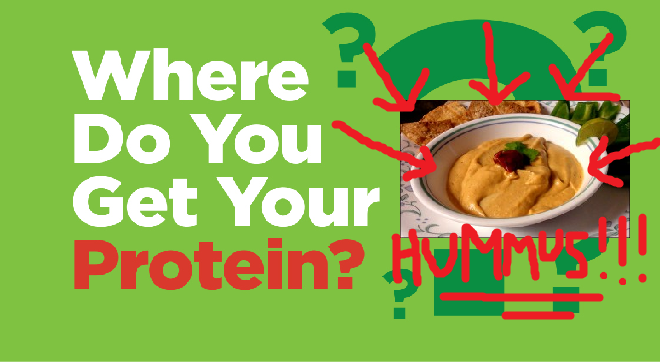 Really, hummus can be a main course itself. 18. Did I mention it’s SUPER-EASY to make at home? 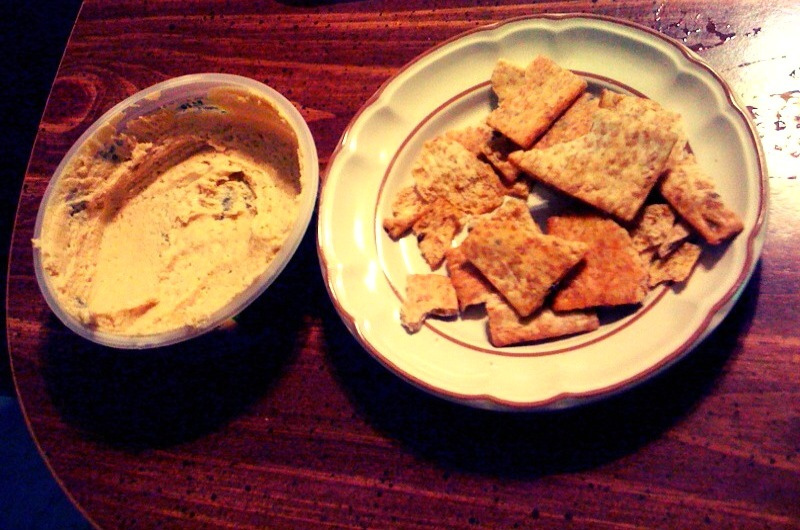 Yeah, homemade hummus is everything! Homemade hummus can be customized with basically anything: garlic, peppers, spices, artichokes, spinach, lemon, olives, Sriracha sauce … ANYTHING! 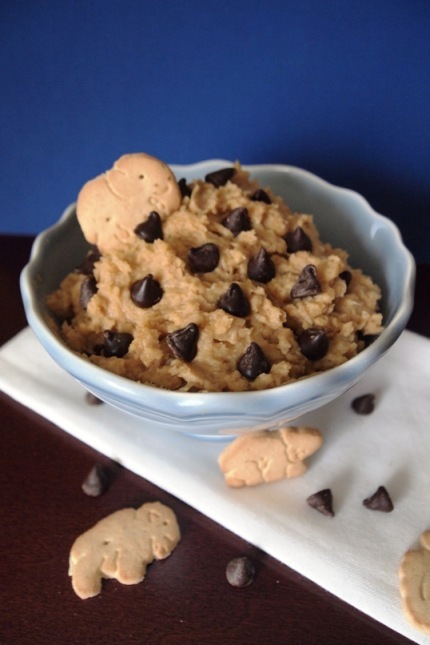 And you can even make it in a blender if you don’t have a food processor! 19. 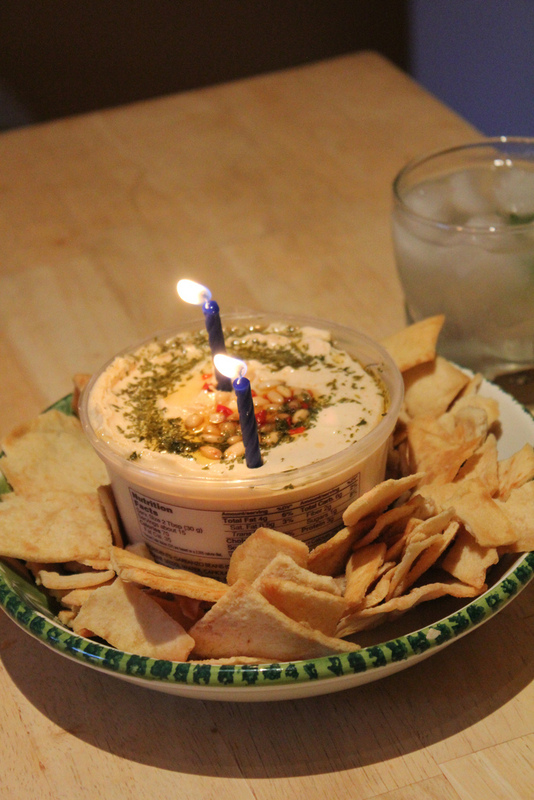 DESSERT HUMMUS IS A THING. I’m crying right now, btw. 20. Forget cake. Allz I need is my birthday hummus. 21. 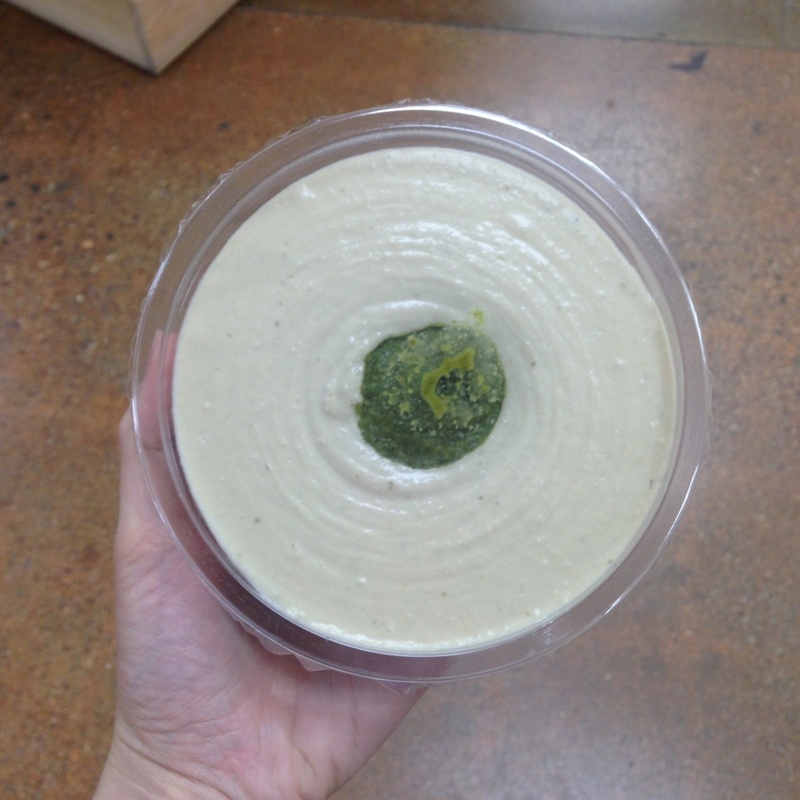 You can never go wrong serving hummus, because EVERYBODY LOVES HUMMUS.